Amazon has unveiled the Fire HD 10, its latest budget-priced tablet that comes pre-installed with the Alexa voice assistant. Now is a great time to be in the market for a cheap tablet. But, with so many sub-£200 models to choose from, what can the Amazon Fire HD 10 offer that sets it apart? Below, we round up the tablet’s key features and run through cheap alternatives we’ve already tested. 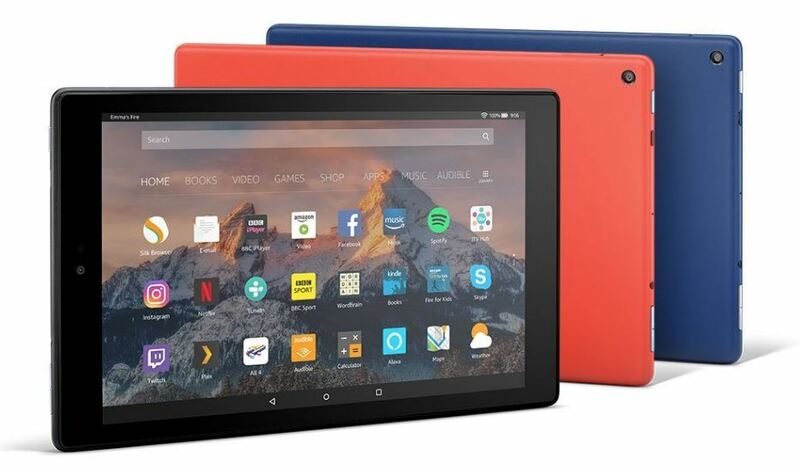 Starting at £150, the Fire HD 10 has a 10.1-inch 1080p screen, which sits between a pair of Dolby speakers. According to Amazon, this new model is ‘30% faster’ than its predecessor, which we reviewed back in 2015. This upgraded tablet has a better, higher-resolution screen (1,920×1,200, up from 800×1,280), which should mean pictures and videos look far sharper. Amazon is promising up to 10 hours of battery life on a single charge, but we’ll put it through our own tests to see if that’s true. If you need to make a video call, a VGA camera on the front of the Fire HD 10 can help out. Don’t expect great picture quality though – VGA cameras can’t offer much detail at all. On the back of the tablet is a slightly better 2Mp snapper, but in most cases you’re be better off using your smartphone’s camera. The Fire HD 10 will become Amazon’s first tablet to support a hands-free Alexa. The voice assistant is already available on the Fire 7 and Fire HD 8, but you have to hold down the Home button to activate it. This time around, simply saying ‘Alexa’ will see it jump into action. You can use Alexa to control your tablet (music playlists, alarms and such), but it will also let you interact with your connected products such as smart lights and heating systems. If you’re looking for a cheap tablet to use on the move, the Fire HD 10 could be worth a closer look. The price you pay changes depending on storage size and whether or not you buy a model that comes with targeted ads on the lock screen (more appealingly described by Amazon as ‘special offers’). So the cheapest Amazon Fire HD 10 tablet could be yours for £150 – that’s around £200 less than the cheapest Apple iPad. To see how Amazon’s tablets have performed in our test lab in the past, take a look at our which Amazon Fire tablet should I buy? guide. This Lenovo tablet could be yours for around £80. 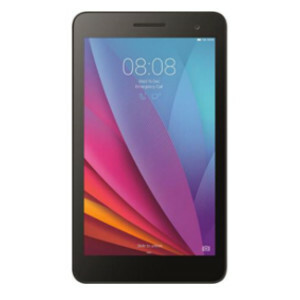 It’s powered by a MediaTek Mt8161P processor, has a 7-inch display and 2GB of Ram. That makes it quick enough to deal with most apps, although it won’t be as impressive as pricier models when it comes to multitasking. There’s 16GB of storage to fill up, but you can’t add a memory card to boost this. Even so, you might want to consider this tablet if you’re after a commuting companion that doesn’t cost as much as an Apple iPad. To see how this budget-priced tablet fared in our test lab, take a look at our full Lenovo Tab 3 7″ review. If you’re tempted by the Amazon Fire HD 10, but put off by the price, the smaller 7-inch Fire 7 is another option. The 8GB model is £50 and the 16GB model is £60, and both versions offer expandable storage via a memory card slot. Alexa comes pre-installed. We tested the Amazon Fire 7 earlier in the year, paying close attention to battery life and processor speed. 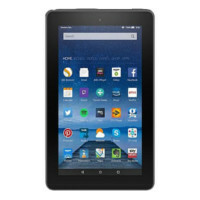 To see what our experts think of this budget tablet, see our Amazon Fire 7 review. 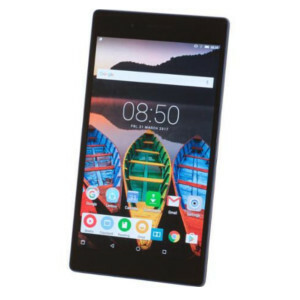 Huawei has made a name for itself by making affordable smartphones, but the tech brand doesn’t stop there – it also has its own range of cheap tablets. The latest to pass through our lab is the Huawei MediaPad T1 7.0, a 7-inch tablet with 8GB of storage, 1GB of Ram and a 2Mp camera. To see if this Huawei tablet is one of this year’s best, take a look at our Huawei MediaPad T1 7.0 review. 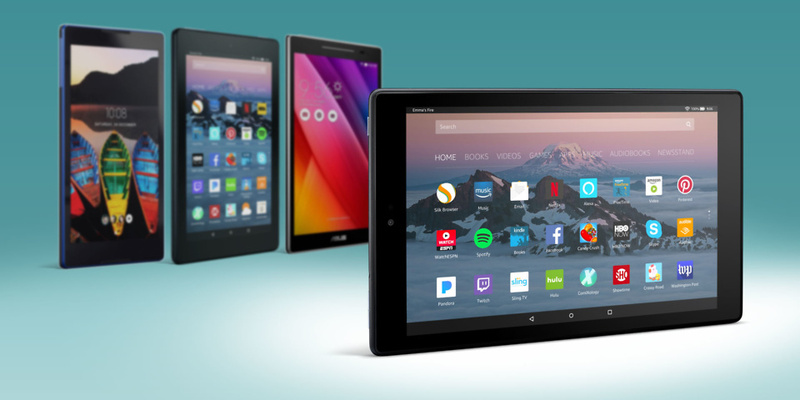 Amazon isn’t the only big-name brand that continues to release cheap tablets, as it’s joined by the likes of Lenovo, Asus and Huawei. Our testing proves that you don’t always have to spend big to get yourself a proven Best Buy tablet. To see which affordable tablets soared through our tests, head over to our guide on the best cheap tablets for 2017.